Limited Editions, Giclee, Serigraphs, Etchings, Photographs, Posters, etc. The following are some of the artists represented in our gallery. Clicking on the artist's name (if underlined) will open a new page on the publishers site with more pictures and information on that artist. Please contact us if you wish more information about a particular piece of work or an artist. 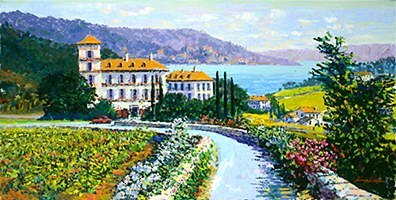 Kerry Hallam, Auberge du Soleil, hand-pulled serigraph on Coventry Vellum paper, paper size: 27.75 x 49.25 inches, image size: 22.25 x 44.25 inches. Also available in deluxe format as an enhanced serigraph on canvas, canvas size: 22.25 x 44.25 inches. Signed by the artist and numbered. 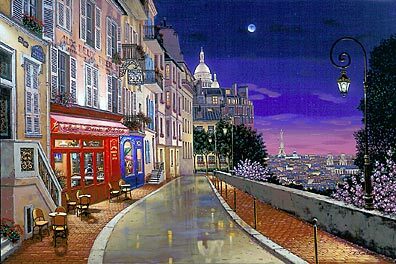 Liudmila Kondakova, Rue de Lille, hand-pulled serigraph in deluxe format on canvas, canvas size: 24 x 36 inches, edition size: 225. 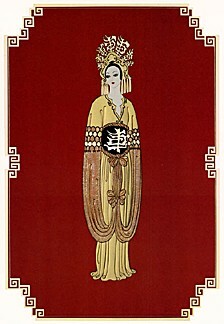 Erté, Plum Blossom (The Asian Princess Suite), embossed serigraph with foil stamping, 28.5 x 20.5 inches. Thomas McKnight, Swan Lake, hand-pulled serigraph on Coventry Smooth White paper, paper size: 35 x 32inches, image size: 30 x 28 inches. Also available in deluxe format as an enhanced serigraph on canvas, canvas size: 30 x 28inches. Signed by the artist and numbered. 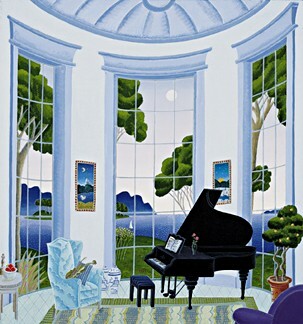 Elegant interiors looking out on majestic views, capturing the tranquility and serenity of a shoreline retreat—those are but some of the gifts that world renowned contemporary artist Thomas McKnight offers in his depictions of favorite places far and wide. With a style that has become instantly recognizable as his own, Thomas McKnight transports us to a place of imagination and vision.